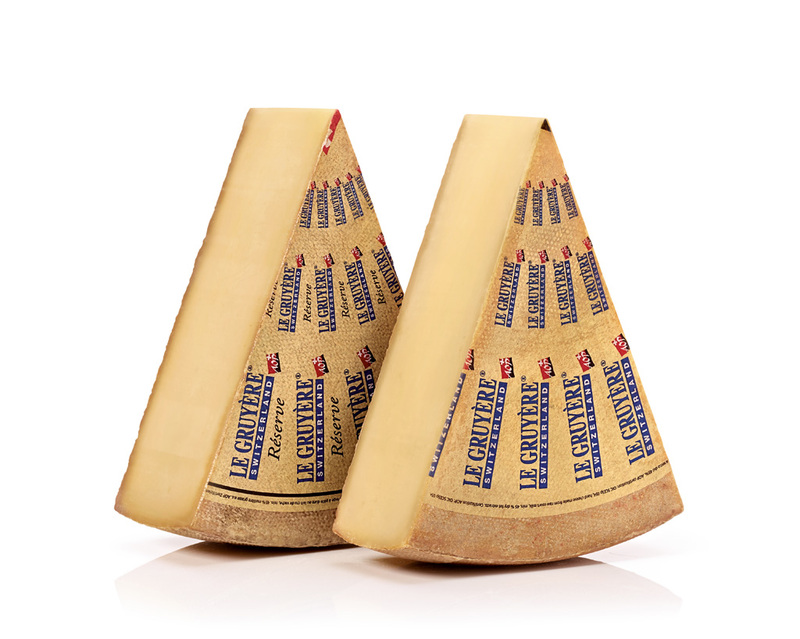 Can’t decide whether you’d like the Gruyère AOP Classic or the Gruyère AOP Reserve? Then this combo pack is for you! 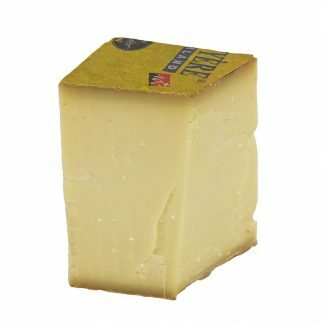 The younger one of the two – the Classic – is great for cooking whereas the Reserve is brilliant in a sandwich or on its own. 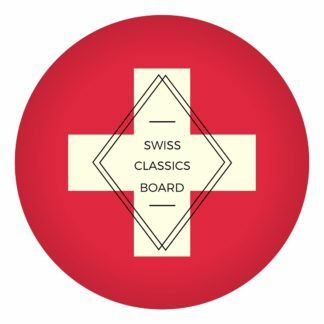 You will receive both Gruyère AOP Classic & Gruyère AOP Reserve in equal amounts (meaning if you order 400g, you will get 200g of Classic and 200g of Reserve). 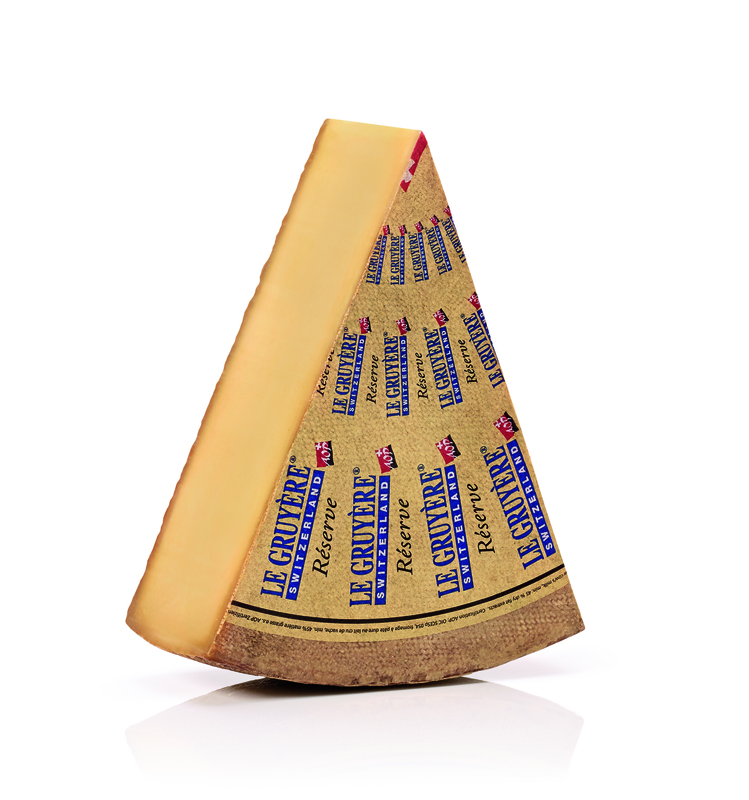 This Gruyère AOP Classic is the youngest of our Gruyères on offer. 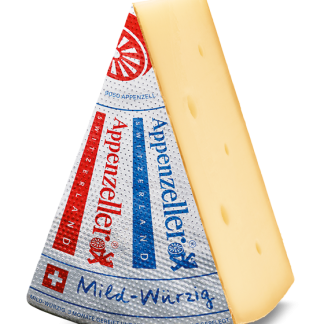 But rest assured, it still comes with all the Gruyère AOP characteristics: raw milk, quality and terroir. This Gruyère is brilliant for everyday eating or for cooking. The cows giving milk destined to the production of Le Gruyère AOP feed exclusively on natural silage-free fodder without any additives. They are fed fresh grass in the summer and hay in the winter. In copper vats, the milk from the morning’s milking is added to that from the previous evening’s milking. 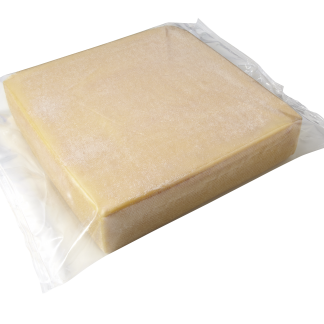 The cheese maker adds the lactic acid bacteria that will mature the milk and rennet that will cause the milk to coagulate. 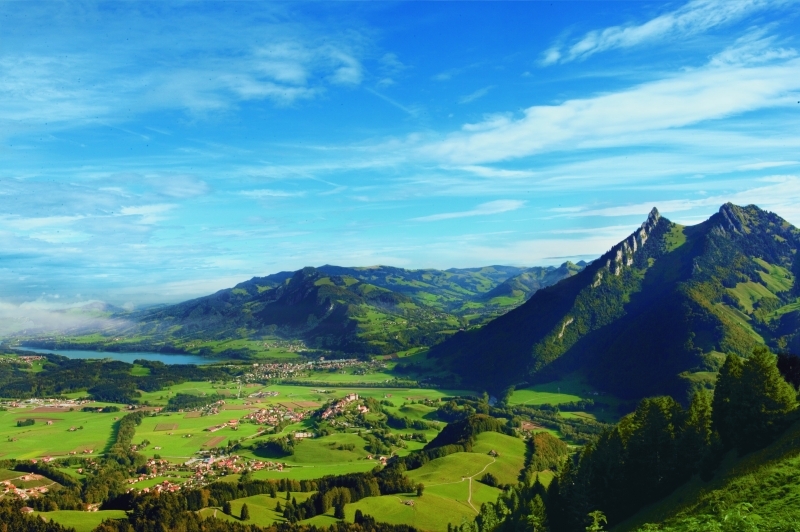 Since the milk isn’t heated before coagulating, it retains all its aromas – a unique characteristic of raw milk cheese. 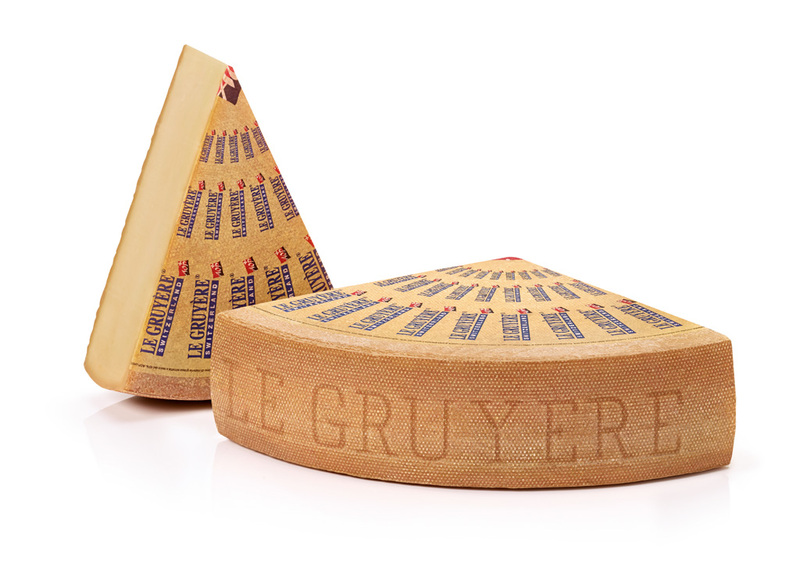 After three months of storage in the cheese maker’s cellar, the wheels are transported to an ripening cellar. There they complete their slow maturation 6 months at a temperature of 15°C and humidity of 90%. During this phase, the cheese wheels are regularly turned and rubbed with a salt water solution. 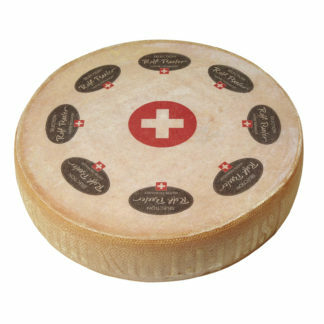 In Switzerland this Gruyère is often labelled as Gruyère Surchoix. 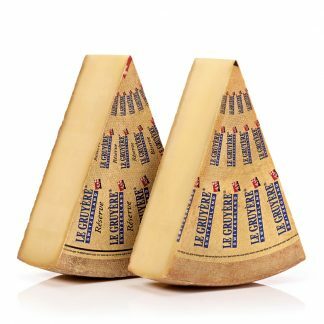 It’s matured longer than the Gruyère “Classic” and therefore has a more pronounced flavour with a firm, slightly crumbly texture and hints of calcium crystals throughout. This Gruyère is brilliant for everyday eating. 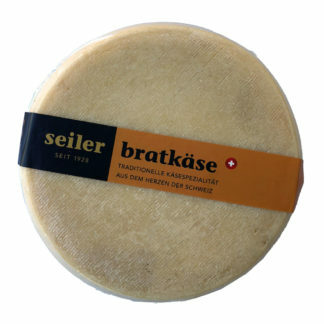 After three months of storage in the cheese maker’s cellar, the wheels are transported to an ripening cellar. There they complete their slow maturation 10 months at a temperature of 15°C and humidity of 90%. 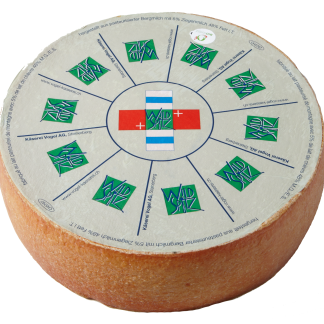 During this phase, the cheese wheels are regularly turned and rubbed with a salt water solution.